One year later and life remains the same for Sergio Busquets and Ivan Rakitic. At the end of last season, and after another disappointing campaign in Europe, the message from Barça was clear: "We need to prioritise the Champions League and reach the end of the season in better shape." This extends to Leo Messi too, who mentioned during his presentation as the club's captain how important the trophy was: "This year we're going to do everything possible so that beautiful and desired cup returns to the Camp Nou." After the first four months of the campaign, the numbers make it clear that Ernesto Valverde hasn't changed his methods. The cases of Sergio Busquets and Ivan Rakitic are clear examples of that. Both midfielders, who are crucial to the side's chances of success, have accumulated practically all the minutes available to Barça this season. 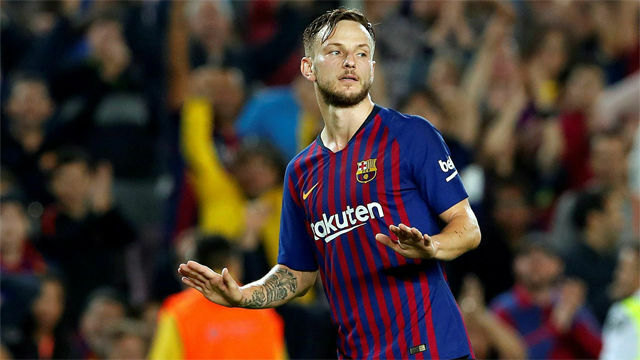 In fact, Rakitic played in both legs of the 2017 Spanish Super Cup as well as the most recent against Sevilla in Morocco. The Croatian has played 1,745 minutes. That's 23 less than last season by the 13th December. In LaLiga, the former Sevilla man has only been on the bench against Girona and in the Champions League he's only missed 50 minutes of action: five against PSV and 45 against Tottenham. In fact, Rakitic even played the first half of the match against Cultural Leonesa in the Copa del Rey. The case of Busquets is very similar. The Catalan has already played 1,829 minutes. That's 167 minutes less than last season by the middle of December. In LaLiga he's only been on the bench against Real Sociedad and Athletic Club and in both of those games he came on in the second half because the team were losing. In the Champions League he only sat out the first half against Tottenham. And, as was the case with Rakitic, what's the most strange is that Valverde played him for 45 minutes against Cultural in the Copa del Rey. When Busquets came onto the pitch the team were already 4-0 up and it was only three days away from the derby against Espanyol. Unnecessary. When you compare those numbers with other midfielders at elite European clubs there's only Kimmich, from Bayern, who has played more than the Barça pair. Kimmich has played 2,001 minutes, only sitting out 69 minutes of action so far. Modric has played 1,397 minutes; Kroos 1,557; Koke 1,629; Verratti 1,249; Pogba 1,599 and Wijnaldum 1,779. 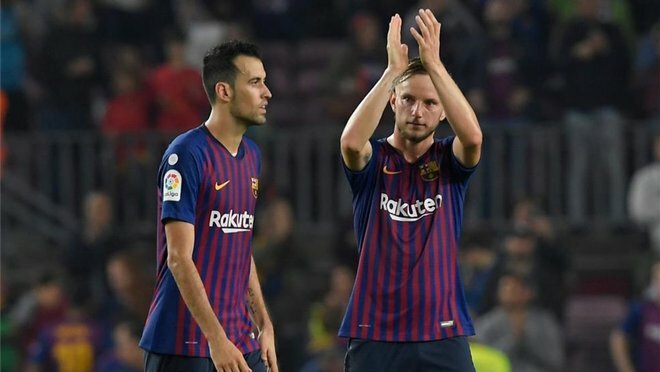 If you add up the minutes of both Rakitic and Busquets, they are the midfield pairing who have played the most minutes amongst teams who are expected to challenge for the Champions League.